Frozen Mountain feels super honoured to be named as one of the winners of Canada’s Top Small & Medium Employers for 2019. This is our second consecutive year we have been recognized as one of the nation’s best workplaces for our exceptional human resources programs and forward-thinking workplace policies. Frozen Mountain was built from the ground-up by brothers, Anton and Jerod. As we have grown, we have maintained the philosophy of treating our employees like family. Our workplace community is built around the simple principle of taking ownership for all you do and supporting your team. A relaxed office atmosphere, with outdoor work spaces, and a positive environment. 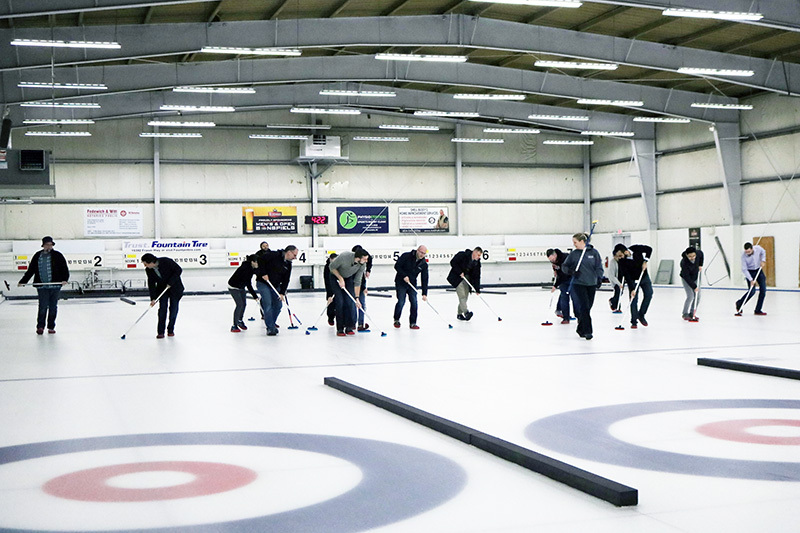 Some of us (tried to) learn to curl at one of our many staff events. Every day at Frozen Mountain is different. Though we all come from different backgrounds we are powered by our common core values and our passion for technology. Leading the way in the WebRTC domain, our brilliant team thrives on making exciting innovations in AR/VR, broadcasting, telehealth and other applications of real-time audio and video streaming -- and playing the occasional game of ping pong too. We have a high bar for technical aptitude and only bring in the best and brightest. Our team is motivated to learn and grow and is always looking for ways to better themselves and those around them. We work in collaboration, sharing and transferring our internal knowledge base to continually take our product to the next level. 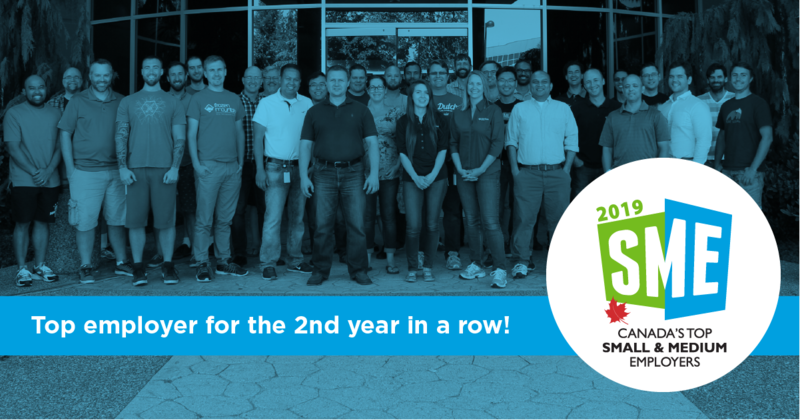 Our fantastic team of super-nerds are very proud to once again be named as one of Canada’s Top Small & Medium Employers and are excited to see what the future holds for Frozen Mountain. We are always on the lookout for new talent. If you think you have what it takes to join our team, check out Glassdoor, for reviews, perks and more on working with us! As Frozen Mountain's Talent Acquisition Specialist, Rash is passionate about matching people with job opportunities that suit their unique skill sets. She loves to meet new people and is constantly on the lookout for new talent that would thrive at Frozen Mountain.